This update fixes world generation bugs that would appear in 1.7. 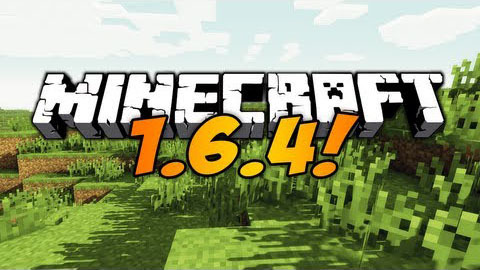 It is recommended that you use this version and load up important areas of your world before heading into Minecraft 1.7. Download Minecraft.jar (86 KB). The jar is executable and should work as-is, also please use Oracle’s JVM. The Minecraft launcher was updated 01 July 2013. To get latest version of the game, make sure that you have downloaded the latest version of the launcher from the link above. If you’re running on Windows and just want to set up a server easily, download minecraft_server.1.6.4.exe and run it. If you want to run the server on any other OS or without GUI it’s a bit more involved. First make sure you can use java from the command line. On Linux and Mac OS X this should already be set up but on Windows you might have to tinker with the PATH environment variable. Download and run minecraft_server.1.6.4.jar with java -Xmx1024M -Xms1024M -jar minecraft_server.jar nogui.